The importance of having a degree for entrepreneurs has been debated over the last few years. A new wave of college dropouts and non-Econ graduates turned successful tech entrepreneurs can be largely blamed for that. But for every Mark Zuckerberg or Elon Musk, there are thousands of faceless entrepreneurs who fail because they didn’t have the proper foundation. 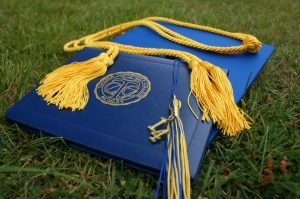 The reality is that having a college degree can never be a disadvantage, but not having one can certainly be, and you’re always better off if you have the right set of tools to start a business the right way. One of the best degrees for aspiring entrepreneurs is applied economics. Let’s take a look at why it’s such a great option and how it could benefit your business. When you understand principles like scarcity (limited resources), equilibrium (the price where consumer demand meets supply), or opportunity cost (the price to pay for choosing one option over another), financial jargon starts to make sense and you can start applying these principles in your line of business. You’ll also be able to understand market dynamics much better. Once you start to understand these terms, you can start using frameworks and theories such as SWOT analysis or Porter’s 5 forces to assess specific situations and make better financial decisions for your organization. A Masters in Applied Economics will allow you to go way beyond graphs and curves. The course will not only give you the basics but a set of concrete tools that you’ll be able to use in your business. For instance, you’ll learn things like conjoint analysis, which will allow you to identify which features are more important to your customers. For instance, if you’re working at Samsung and you’re trying to figure out which features should be improved on your next Galaxy phone between screen size, camera or battery, conjoint analysis will allow you to see which ones matter the most to your customers and which ones are actually worth the company’s money and time. People who study economics understand statistics better and are better able to evaluate the risk of a particular investment. People with an applied economics degree will be better at assessing whether they’ll be able to get an ROI on a particular investment. They can also evaluate how much this return is going to cost more accurately. Someone with an understanding of applied economics will also know when to expand and they understand when rapid growth could actually be detrimental, which is a common pitfall for many startups. Applied economics is a great foundation for anyone, whether you’re a budding entrepreneur or thinking of becoming one in the future. If you think that it could be the right option for you, we suggest you start looking at the program in detail and see if it’s really the direction you want to go in. Our virtual assistants can help you grow your business. Contact us to find out how we can work together!